Washington DC is the epicenter of Democracy in the United States. 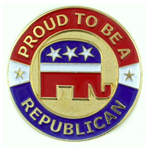 Enjoy our wide selection of political memorabilia from current candidates to past presidents. Show Support for the Republican Presidential nominee with our Trump for President shot glass. Show Support for US Secretary of State Clinton with our Hillary for President shot glass. The Obama gift set comes with a patriotic red, white, and blue themed coffee mug and shot glass. Show your support for the Democratic party and Barack Obama and cast your vote in our presidential poll by purchasing the Obama gift set today!